NB Currently UNAVAILABLE for bookings in Canada. 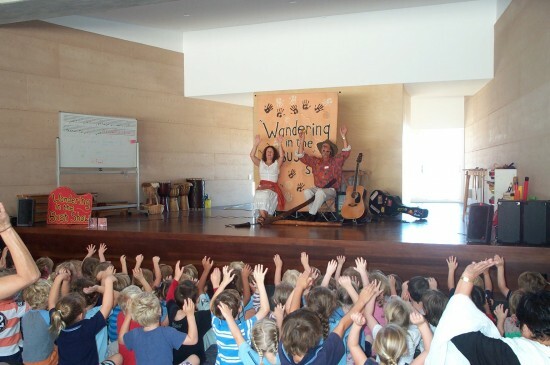 Australian Edutainment with Didgeridoo - for children aged 3 -12 years. 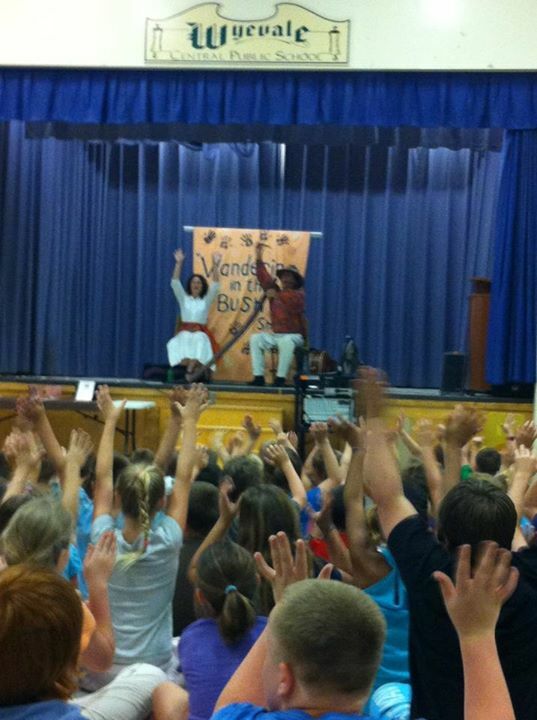 Greg & Linda share a Fun Fusion of Cultures with their Interactive & Educational show. Children gain an insight into the special uniqueness of the land of Australia, its Animals & ancient Aboriginal culture. Seated in a semi-circle, they sing along and join in with hand actions to songs and stories on the didgeridoo. 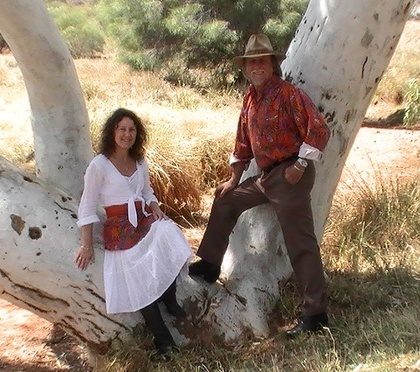 The songs were written during school tours of 38 remote Aboriginal Communities of N.W. Australia (1988 - 1993) Greg was shown how to play Didgeridoo by a Kimberley elder. Festivals and Events - Great fun for children of all ages - and enjoyed by all the family. 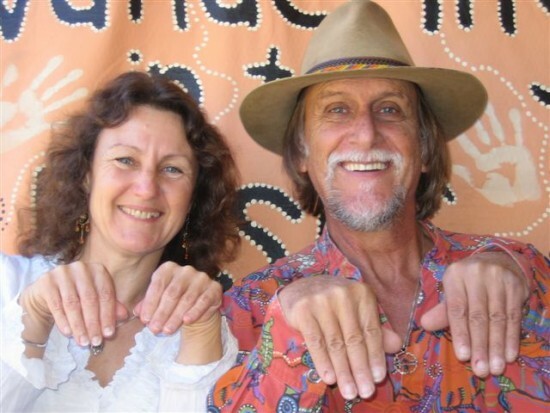 Greg Hastings and Linda Gillan are entertainers from Western Australia, touring the Wandering In The Bush Show Australia-wide and overseas, where it is acclaimed by many children, teachers and parents alike, to be one of the most entertaining and informative shows to visit. Greg, has been entertaining audiences of all ages and nationalities for 40 years, with a professional musical career spanning from co-founder member of the legendary 'Mucky Duck Bush Band' in Western Australia, to touring International Adult and Children's Entertainer. Linda is an Early Childhood Educator, Group Facilitator and Children's Entertainer, with a passion for fun in learning. She organises the tours and accompanies Greg in the show, encouraging the children to follow the hand actions and sing along. Schools: Greg will provide his own P.A.